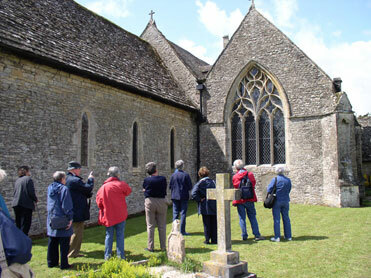 I am able to undertake tours of parish churches for small groups in Oxfordshire, where I have lived for 30 years, and also, from time to time, to churches in other areas of central southern England. If you would like further information regarding the church tours or have any specific questions you would like to ask click on the link here for my contact details. Members of the July 2009 three–day tour at St. Bartholomew’s parish church, Ducklington. © 2006–2019 Clive Fewins. All rights reserved. Site designed by Ridgedale Communications Ltd.